Virginia laws against and penalties for drug crimes can vary based on the type of drug in question. Referred to legally as controlled substances, illegal drugs are divided into different schedules in Virginia. Each schedule has a specific purpose as well as a list of included substances. Although there are six schedules, most controlled substances appear in Schedules I-V. The substance is not accepted or safe for medical treatment in the United States. Abuse of the substance can lead to severe physical or psychological dependence. Abuse of the substance can lead to moderate physical or high psychological dependence. Abuse of the substance can lead to limited physical or psychological dependence compared to Schedule III substances. Abuse of the substance can lead to limited physical or psychological dependence compared to Schedule IV substances. 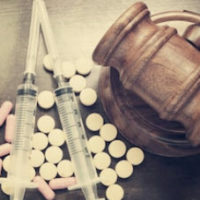 If you need legal help with a drug crime in Virginia, it is beneficial to contact a knowledgeable criminal defense attorney. The attorneys at Simms Showers LLP, servicing Leesburg, Winchester, Fairfax, and Manassas, have many years of legal experience criminal defense cases across Virginia, including various drug crimes. If you need legal help with criminal defense, contact us today for a free initial consultation.